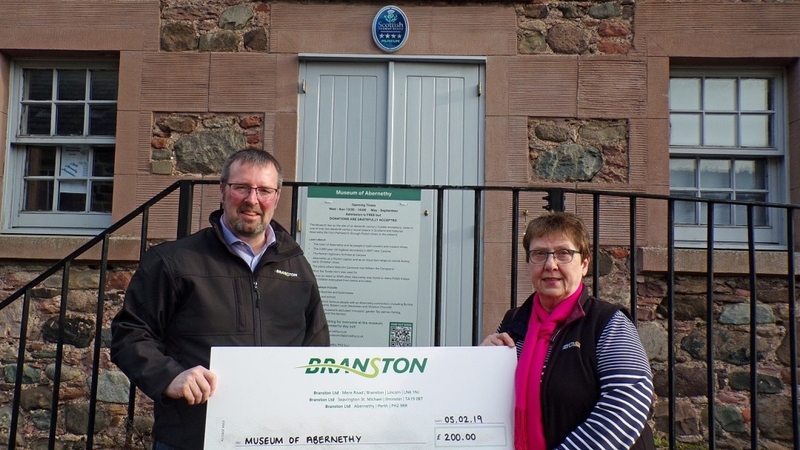 Branston's Scotland site is helping the museum of Abernethy continue to provide free community access and tours to village visitors and locals, thanks to a £200 donation. Kevin Imrie (left), general manager at the site in Abernethy said: “We are delighted to help support the museum and contribute towards keeping its fascinating village history alive. The museum, which opened in 2000, will use the proceeds to revamp some of its displays and continue to provide group tours with accompanying guide. It is reliant on donations, fundraising and membership fees as well as volunteers to keep it running.